On the hunt for that perfect used car? 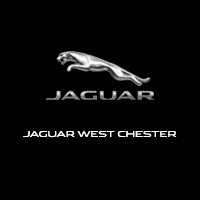 When you choose a pre-owned vehicle from Jaguar West Chester, you can trust that whatever model you choose has been thoroughly inspected for quality. Better yet, we have a variety of used car specials available so you can feel good about what you choose to drive home to Newtown Square. After you’ve taken a look at our pre-owned vehicle specials online, be sure to contact us to make an appointment and visit us in person! We look forward to getting you behind the wheel of a pre-owned car you’re excited about for a price you’ll love. Want to make your vehicle even friendlier on your wallet? Consider trading in your vehicle. For more information please look at our Auto iPacket... it really has so much information on the exact equipment on the one you're looking at. Call or email us for any further questions about an unit.. Just give us the stock number when you call  610.436.0600.Bluetooth / Handsfree Calling, Adaptive Xenon Headlights w/LED Signature, Auto High Beam Assist, Blind Spot Monitor w/Close Vehicle Sensing, Emergency Braking, Front & Rear Parking Aids, Headlight Washers, Navigation System, Reverse Traffic Detection, SiriusXM Satellite Radio, Vision Assist Package.Odometer is 1301 miles below market average!Clean CARFAX.Santorini Black 2018 Jaguar XE 25t PrestigeFor more information please look at our Auto iPacket... it really has so much information or exactly the equipment on every car. Call or email us for any further questions about an unit.. Just give us the stock number when you call  610.436.0600. For more information please look at our Auto iPacket... it really has so much information on the exact equipment on the one you're looking at. Call or email us for any further questions about an unit.. Just give us the stock number when you call  610.436.0600.Bluetooth / Handsfree Calling, Adaptive Xenon Headlights w/LED Signature, Auto High Beam Assist, Blind Spot Monitor w/Close Vehicle Sensing, Emergency Braking, Front & Rear Parking Aids, Headlight Washers, Navigation System, Reverse Traffic Detection, Vision Assist Package.Odometer is 2150 miles below market average!Clean CARFAX.Santorini Black 2018 Jaguar XE 25t PrestigeFor more information please look at our Auto iPacket... it really has so much information or exactly the equipment on every car. Call or email us for any further questions about an unit.. Just give us the stock number when you call  610.436.0600. For more information please look at our Auto iPacket... it really has so much information on the exact equipment on the one you're looking at. Call or email us for any further questions about an unit.. Just give us the stock number when you call  610.436.0600.Bluetooth / Handsfree Calling, Adaptive Xenon Headlights w/LED Signature, Auto High Beam Assist, Blind Spot Monitor w/Close Vehicle Sensing, Cold Climate Package, Emergency Braking, Front & Rear Parking Aids, Headlight Washers, Heated Front Seats, Heated Front Windshield, Heated Washer Jets, Navigation System, Reverse Traffic Detection, Vision Assist Package, Wheels: 18 6 Spoke (Style 6006).Odometer is 2487 miles below market average!Clean CARFAX.Fuji White 2018 Jaguar XE 25t PremiumFor more information please look at our Auto iPacket... it really has so much information or exactly the equipment on every car. Call or email us for any further questions about an unit.. Just give us the stock number when you call  610.436.0600. For more information please look at our Auto iPacket... it really has so much information on the exact equipment on the one you're looking at. Call or email us for any further questions about an unit.. Just give us the stock number when you call  610.436.0600.Bluetooth / Handsfree Calling, Adaptive Xenon Headlights w/LED Signature, Auto High Beam Assist, Blind Spot Monitor w/Close Vehicle Sensing, Cold Climate Package, Emergency Braking, Front & Rear Parking Aids, Headlight Washers, Heated Front Seats, Heated Front Windshield, Heated Washer Jets, Navigation System, Reverse Traffic Detection, Vision Assist Package, Wheels: 18 6 Spoke (Style 6006).Odometer is 2834 miles below market average!Clean CARFAX.Santorini Black 2018 Jaguar XE 25t PremiumFor more information please look at our Auto iPacket... it really has so much information or exactly the equipment on every car. Call or email us for any further questions about an unit.. Just give us the stock number when you call  610.436.0600. For more information please look at our Auto iPacket... it really has so much information on the exact equipment on the one you're looking at. Call or email us for any further questions about an unit.. Just give us the stock number when you call  610.436.0600.Bluetooth / Handsfree Calling, Adaptive Xenon Headlights w/LED Signature, Auto High Beam Assist, Blind Spot Monitor w/Close Vehicle Sensing, Chrome Wheel Locks, Cold Climate Package, Emergency Braking, Front & Rear AWD Rubber Mats, Front & Rear Parking Aids, Front Window Sunshade, Headlight Washers, Heated Front Seats, Heated Front Windshield, Heated Washer Jets, Jaguar License Plate Frame, Navigation System, Protection Package, Reverse Traffic Detection, Vision Assist Package, Wheel Lock Package.Odometer is 1286 miles below market average!Clean CARFAX.Black 2018 Jaguar XE 25t PremiumFor more information please look at our Auto iPacket... it really has so much information or exactly the equipment on every car. Call or email us for any further questions about an unit.. Just give us the stock number when you call  610.436.0600. For more information please look at our Auto iPacket... it really has so much information on the exact equipment on the one you're looking at. Call or email us for any further questions about an unit.. Just give us the stock number when you call  610.436.0600.Bluetooth / Handsfree Calling, Adaptive Cruise Control w/Automatic Speed Limiter, Advanced Emergency Brake Assist, Chrome Wheel Locks, Wheel Lock Package.CARFAX One-Owner. Clean CARFAX.Italian Racing Red 2015 Jaguar XJ XJL PortfolioFor more information please look at our Auto iPacket... it really has so much information or exactly the equipment on every car. Call or email us for any further questions about an unit.. Just give us the stock number when you call  610.436.0600. For more information please look at our Auto iPacket... it really has so much information on the exact equipment on the one you're looking at. Call or email us for any further questions about an unit.. Just give us the stock number when you call  610.436.0600.Bluetooth / Handsfree Calling, Adaptive Cruise Control w/Stop & Go, Blind Spot Assist, Cold Climate Package, Drive Package, Heated Front & Rear Seats, Heated Steering Wheel, Heated Windshield, High-Speed Emergency Braking, Illuminated Metal Loadspace Scuff Plate, Keyless Entry, Remote keyless entry, SiriusXM Satellite Radio, Wheels: 19 5 Spoke (Style 5037).Odometer is 1374 miles below market average!Clean CARFAX.Loire Blue Metallic 2019 Jaguar F-PACE 25t PremiumFor more information please look at our Auto iPacket... it really has so much information or exactly the equipment on every car. Call or email us for any further questions about an unit.. Just give us the stock number when you call  610.436.0600. For more information please look at our Auto iPacket... it really has so much information on the exact equipment on the one you're looking at. Call or email us for any further questions about an unit.. Just give us the stock number when you call  610.436.0600.Bluetooth / Handsfree Calling, Adaptive Cruise Control w/Stop & Go, Basic Interior Protection Package, Blind Spot Assist, Cold Climate Package, Connect Pro Package, Drive Package, Heated Front & Rear Seats, Heated Steering Wheel, Heated Windshield, High-Speed Emergency Braking, InControl Apps, Keyless Entry, Pro Services & Wi-Fi Hotspot, Radio: Meridian 380W Sound System, SiriusXM Satellite Radio, Wheels: 19 5 Split-Spoke (Style 5038).Odometer is 689 miles below market average!Clean CARFAX.Fuji White 2019 Jaguar F-PACE 25t PremiumFor more information please look at our Auto iPacket... it really has so much information or exactly the equipment on every car. Call or email us for any further questions about an unit.. Just give us the stock number when you call  610.436.0600. For more information please look at our Auto iPacket... it really has so much information on the exact equipment on the one you're looking at. Call or email us for any further questions about an unit.. Just give us the stock number when you call  610.436.0600.Bluetooth / Handsfree Calling, Adaptive Cruise Control w/Stop & Go, Blind Spot Assist, CD/DVD Player, Connect Pro Package, Drive Package, High-Speed Emergency Braking, InControl Apps, Interactive Driver Display, Navigation Pro, Pro Services & Wi-Fi Hotspot, Radio: Meridian 825W Surround Sound System, SiriusXM Satellite Radio, Technology Package, Wheels: 20 5 Spoke w/Grey Diamond Turned Finish.CARFAX One-Owner. Clean CARFAX.Fuji White 2019 Jaguar F-PACE 25t R-SportFor more information please look at our Auto iPacket... it really has so much information or exactly the equipment on every car. Call or email us for any further questions about an unit.. Just give us the stock number when you call  610.436.0600. For more information please look at our Auto iPacket... it really has so much information on the exact equipment on the one you're looking at. Call or email us for any further questions about an unit.. Just give us the stock number when you call  610.436.0600.Bluetooth / Handsfree Calling.Odometer is 773 miles below market average!Clean CARFAX.Indus Silver 2018 Jaguar XE 20d PrestigeFor more information please look at our Auto iPacket... it really has so much information or exactly the equipment on every car. Call or email us for any further questions about an unit.. Just give us the stock number when you call  610.436.0600.